This script is an add-on for the Overlay Maps script. It allows you to set up individual map zoom levels for each overlay map, allowing you to provide depth perception. You will need the Overlay Maps script. Place this script below Overlay Maps and above Main. I’ve been messing around with this for a few hours and no matter what I do I cannot get my map to zoom so it would look smaller. I’ve tried glueing the expanded not tags and copied and modified the note tag used in the sky city map from the demo but that only lead to more problems. Whenever I try to make the zoom a negative the map just becomes blank. Basicly what I’m trying to do is have a character on a hill staring down at a village bellow but I can’t make the village look smaller I’ve redone it over and over again but I can only get it to look normal size or mic much bigger I’m not sure what I am doing wrong (I am able to make the village map appear under the cliff map using the expanded note tags but it doesn’t give it any prespectibve and I can’t get to to zoom in or out). What is your note-tag? Do you have the required DLL? Negative values probably aren’t supported. Try something like those and see if they work. Ahh thank you so much I’ve got it working now I guess I just misunderstood what you meant by less then one I hadn’t thought to use decimals. This script is really going to help me thanks again for responding so quickly. Description has been updated with examples of zoom levels for clarity. Can this be used to create (quote unqoute) “parallax” maps that work with MGC Map Zoom? I am trying to leave the camera zoomed in for the entire game, to create a larger more in-depth experience. I have tested this extensively to realize that it is truly what I want- the entire game to be zoomed in. a. 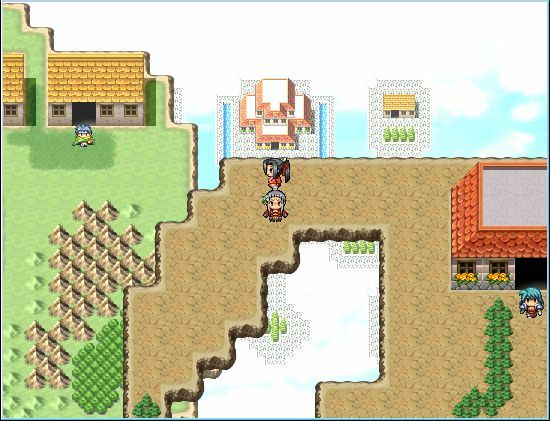 Using ANYTHING other than default tilesets causes graphical glitches and MGC map zoom to crash the game. Using anything beyond tileset C causes a crash too. This is not due to other scripts, as I tested on a base game with only MGC Tilemap, MGC Map Zoom. They simply don’t play well with tilesets that are not RTP, or overlays/parallaxes. I understand there is some sort of graphic file called “autotiles_data” but I have no idea what these files do or are for in order to change them to work for me. Can this script be used together with MGC Map Zoom— that is to say, can I make an overlay map using this, then zoom in the game with Map Zoom without a crash, or graphical errors? (such as the overlay being too small to fit the zoomed in map)? Map Zoom is specifically meant for zooming the tilemap, which means it only works with tilesets. Zooming other images should be done using sprite zoom functionality. I did not include any functionality for zooming images, but I can see that it would be nice to zoom parallax images. Aww, shucks. I guess I’m still looking for a way to use non-RTP materials with Map Zoom then, since other custom tilesets, or using more tilesets than A-C also cause a crash with it. :/ I suppose I will be hunting alternate method. Consider reporting that as a bug to MGC’s post on map zoom. The site is in another language, so I have felt a bit intimidated of reporting there? I mean, if I have another problem I might consider it. I need to reset the zoom upon entering each map through an event. *When I enter it (or in some cases, before leaving the last map), I reset the zoom to 1 and turn on a switch that says I left the last map. * When the next map is entered, an event runs that returns the zoom to 2. I also use this event to apply any tints or special effects, so it serves more than one purpose. No crashes so far, however, it limits me to only using tilesets and events. Using pictures, overlays, parallaxes to add additional things to my maps is still out of the question. Though I admit- I haven’t tested your picture lock scripts with it extensively, maybe zooming in as well as locking the picture? IDK. So far not enough issues to make me worry too much. Pictures would need separate logic for zooming since they are not part of the tile map. In your own demo I can’t get the Castle Town to show below the Sky City. I put in the Sky City Notes. What am I doing wrong? That’s because there’s a parallax under sky city that blocks whatever’s below it. That being said, I could very well be wrong. Besides, this script seems to be from last year as well so it is probably no longer supported anyways. Just thought I&apos;d bring it to your attention in case you were interested. I&apos;ve added some checks to make sure that the region fog was created properly (because overlay maps do not create region fogs by default). You will likely see a lot of issues with map-related scripts when it comes to overlay maps because while overlay maps try to load up everything for their own map, there will inevitably be a number of things that the script simply doesn&apos;t know about and requires patches. Indeed, and that is precisely the reason why I am hesitant to use the script despite the possibility it brings to the table. Due to eventing and other complications, I will likely just create maps that are used specifically for overlays, and ones that have the actual events. Tested the new script, so far it has not returned any errors . Thanks! Forgot to reply, but yes the link works just fine now. Thanks a lot. The overlay is my favorite script by far. The required files, I’m assuming the MGC_Map_Ace.dll link seems to be broken. Seems to work for me. What does your browser say? both Chrome and Internet Explorer say they can’t connect, acting like it can’t find the file. I’ve changed the link to a dropbox link. Try that. Your scritps of overlay map and overlay map zoom are amazing Tsukihime. Thanks for your hard work; you made a great contribution to all of us rpg makers. Is it possible to “jump” to the not zoomed map layer ? if yes, can you make a demo please ? Nevermind, please delete this comment. The answer was in your other script. Sorry. No there is no way to travel between layers outside of player transfer commands.